Hendrick Porsche of Charlotte, North Carolina, formerly of 6824 E. Independence Blvd., is now offering its passionate clients a next-generation buying and service experience at its new, fully interactive dealership located at 6800 E Independence Blvd. An expanded showroom, world-class service center and an extended parking area make this facility a true destination for Charlotte-area enthusiasts. Hendrick Automotive Group operates 28 franchises in the Charlotte area, 59 franchises in the state of North Carolina and 143 franchises throughout the United States. Headquartered in Charlotte, the company operates two total Porsche dealerships, which includes Porsche Southpoint of Durham (North Carolina). Hendrick Porsche of Charlotte features 60 new and 40 pre-owned vehicles on site with access to more than 30,000 new and pre-owned vehicles at HendrickCars.com. The new 35,500-square-foot facility sits on 4.3 acres: hosts 13 service bays and provides numerous customer amenities including free Wi-Fi, refreshments, a coffee bar, service loaner vehicles and complimentary shuttle service to Charlotte area businesses and attractions. Open Monday through Saturday for sales and service, Hendrick Porsche of Charlotte employs more than 30 people. For information on employment opportunities, please visit HendrickCareers.com. The dealership currently is hiring sales professionals, service technicians, and other positions. 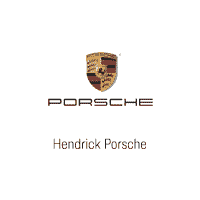 For more information on Hendrick Porsche of Charlotte, please visit our site or contact us. Customers also can like the dealership on Facebook at facebook.com/hendrickporsche.